胡广保, 叶世榕, 张彦祥, 等. GPS/PWV时间序列特征提取方法的研究[J]. 大地测量与地球动力学, 2019, 39(1): 36-40, 110. HU Guangbao, YE Shirong, ZHANG Yanxiang, et al. Research on a Feature Extraction Method of GPS/PWV Time Series[J]. Journal of Geodesy and Geodynamics, 2019, 39(1): 36-40, 110. National Natural Science Foundation of China, No. 41074008; National Key Research and Development Program of China, No. 2016YFB0800405; Social Development Guided Subsidy Project of Fujian Province, No. 2016Y0002; Science and Technology Innovation Project of Fujian Provincial Administration of Surveying, Mapping and Geoinformation, No.2016J01; Commonweal Research Project of MWR, No.201401072. HU Guangbao, postgraduate, majors in high precision GNSS data processing and GPS meteorology, E-mail: gbhu@whu.edu.cn. Foundation support: National Natural Science Foundation of China, No. 41074008; National Key Research and Development Program of China, No. 2016YFB0800405; Social Development Guided Subsidy Project of Fujian Province, No. 2016Y0002; Science and Technology Innovation Project of Fujian Provincial Administration of Surveying, Mapping and Geoinformation, No.2016J01; Commonweal Research Project of MWR, No.201401072. About the first author: HU Guangbao, postgraduate, majors in high precision GNSS data processing and GPS meteorology, E-mail: gbhu@whu.edu.cn. Abstract: To extract the features of 4-year GPS/PWV time series obtained by GAMIT/GLOBK software, we propose a GPS/PWV feature extraction method based on combination filter-assisted partly ensembled empirical mode decomposition(PEEMD) and Hilbert spectrum. 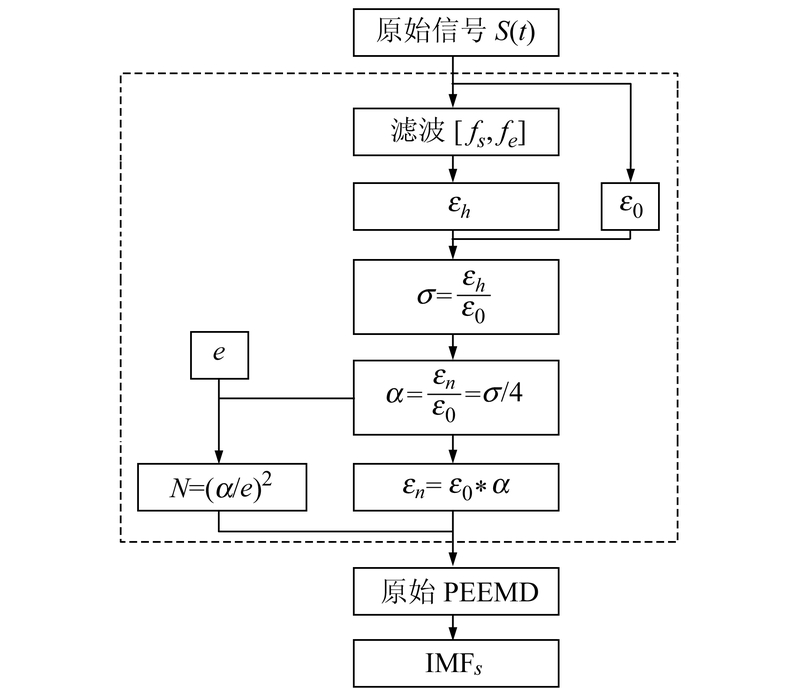 First, filter-assisted PEEMD is combined with Hilbert spectrum to establish the feature extraction model of GPS/PWV. 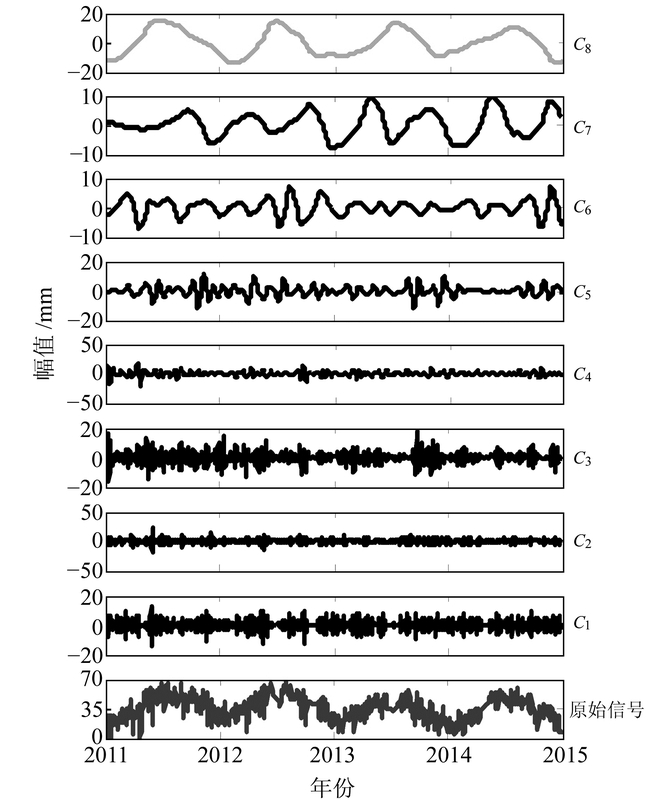 Then, the proposed method is applied to analyze the 4-year and 7-day GPS/PWV time series at TNML station, and the result of filter-assisted PEEMD is compared with the result of traditional wavelet decomposition. 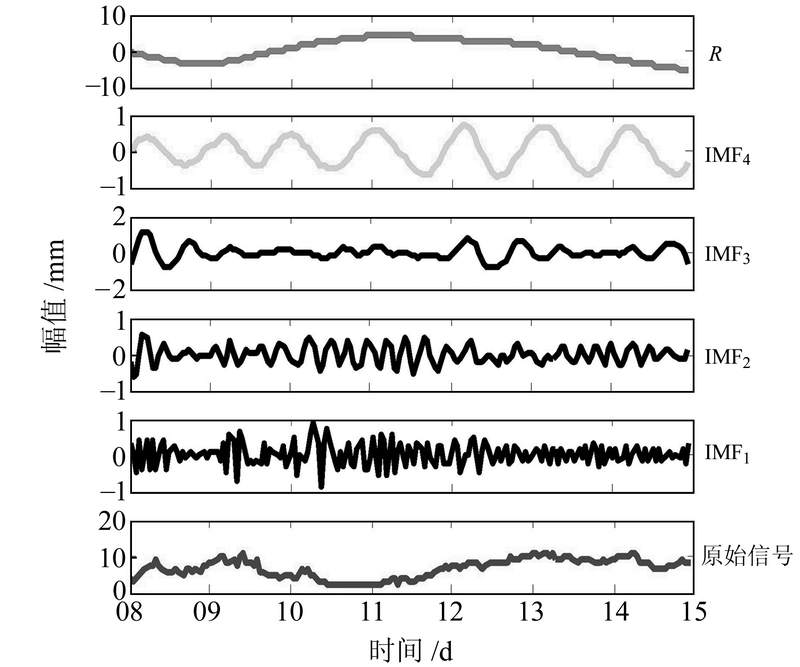 The results show that the proposed feature extraction method can accurately extract the feature components of annual and daily cycles, and that the results of the filter-assisted PEEMD are consistent with those of the wavelet decomposition, and that the extracted feature component are more coincident with the original signal.